Here’s how you make these simple candies. First preheat your oven to 250 degrees, Fahrenheit. Next spread some parchment paper onto a cookie sheet. Then, arrange small pretzels on top of the parchment paper. The pretzels are the base of the candy. 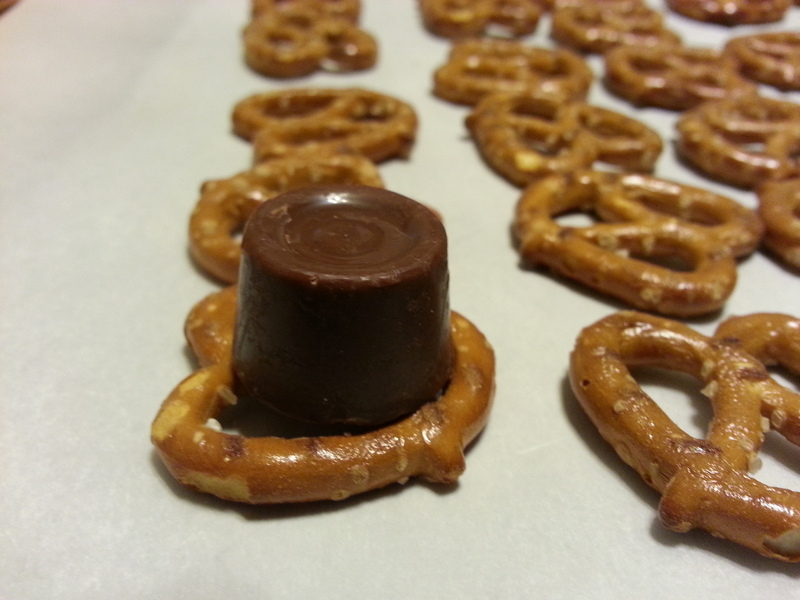 Remove the foil from Rolo candies, and place them, one on top of each pretzel. Place the cookie sheet with the pretzel and the candies into the preheated oven and allow to bake for 4-5 minutes. 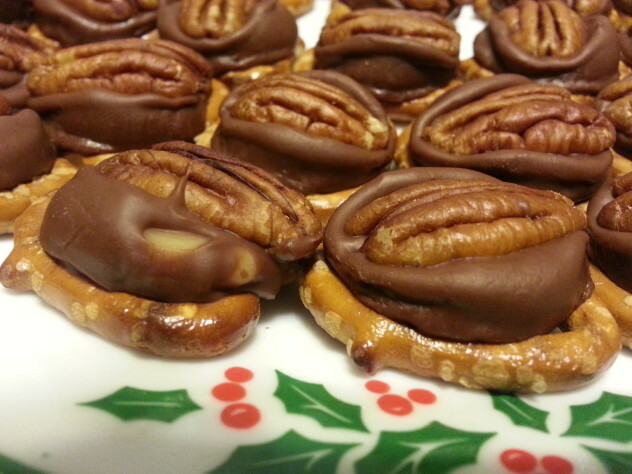 When you remove them from the oven, place a pecan half on top of the Rolo Candy and apply a gentle downward pressure. 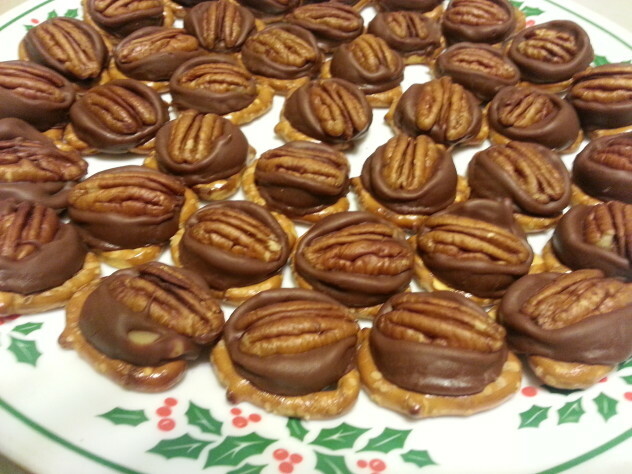 The candy should go down easily under the weight of your finger and the pecan. You are pushing down on the pecan. Do not touch the candy. It is hot and will burn you. When the candy has spread out and is almost covering the pretzel, stop and move on to the next one. I like to top an entire row with pecans and then press them down. 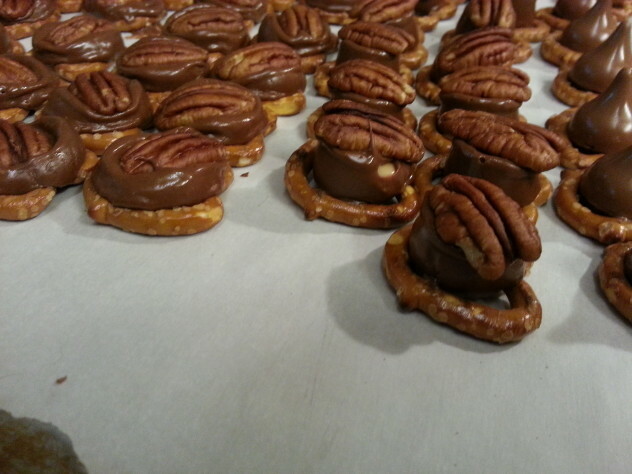 Bus Boy likes to push each one down as he places the pecan on top. Allow the cookie sheet to cool enough so that you can touch it with your bare hands and then stick it into the refrigerator or freezer until the candy sets up again. These simple 3 ingredient candies are easy to make. They are great to make with children and are a nice gift. Place a sheet of parchment parchment paper on a cookie sheet. 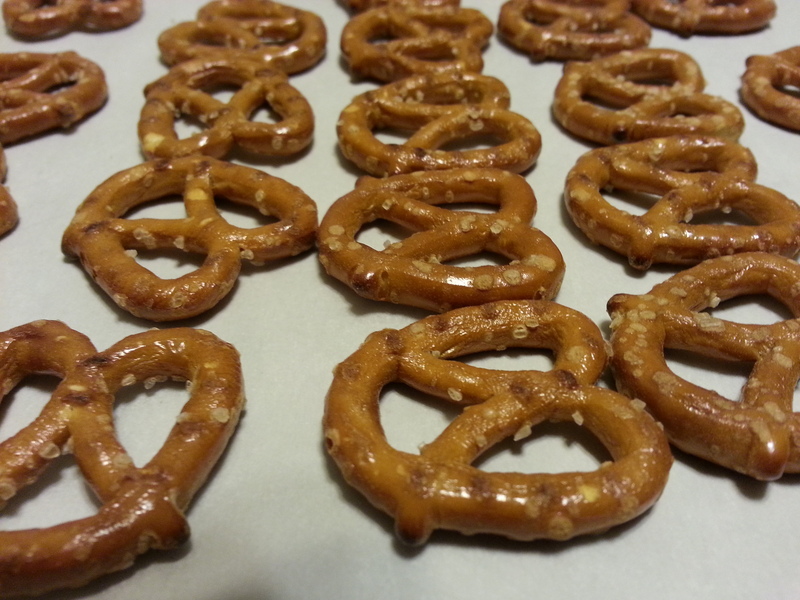 Arrange pretzels in a single layer on the parchment paper. 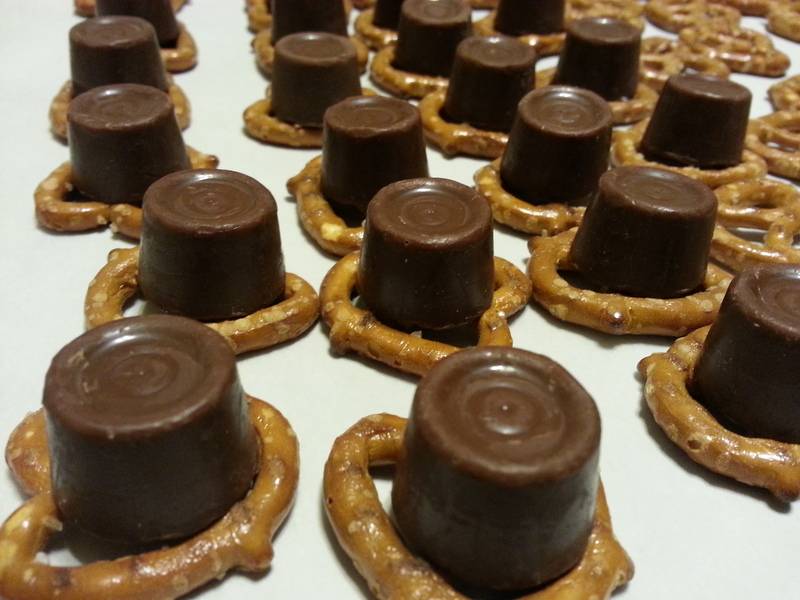 Remove the foil from each Rolo candy, and place one candy on top of each pretzel. Place cookie sheet into the preheated oven and bake for 4 minutes. Remove from oven and immediately place a pecan half on top of each Rolo, pressing down gently until the candy has spread to the edge of the pretzel. Be careful so that the chocolate continues to cover the caramel center. Allow to cool to room temperature, then put them into the refrigerator or freezer until the candy firms up again. Store the turtle candies in an airtight container, separating layers with wax paper.